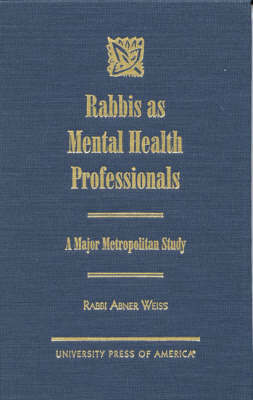 Rabbis as Mental Health Professionals is a landmark study of counseling needs and preferences of contemporary American Jews, and of the effectiveness of rabbinical counseling training. Located in the context of the Jewish and Christian pastoral counseling traditions, this book will appeal to anyone interested in psychospiritual issues and strategies. Graduate students and professors interested in psychology, pastoral care, theology, and counseling should take special interest in this comprehensive study.